- Fix the bug that is not receive commander exp when upgrade weapons and vehicles at sometime. 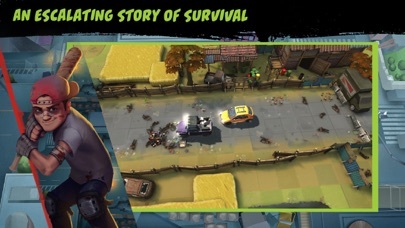 Lead your ultimate convoy of cars to target the savage undead when swarm of zombies has taken over the earth and nearly destroyed humanity! Can you defend your shelter, or would you be left for dead in the post apocalypse fallout? 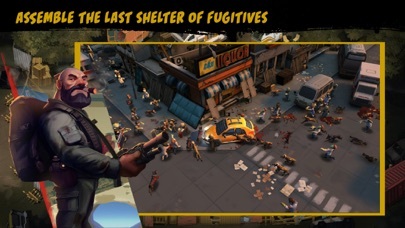 Employ all kinds of weapons and vehicles the war left behind and formulate a perfect strategy to wipe out the walking, dead man... and dogs, which are now in the form of horrifying brutal monsters. Year 2048, a deadly plague spread and the end of mankind is near. There’s nothing but rampant zombies, depressed human beings, and wastelands. 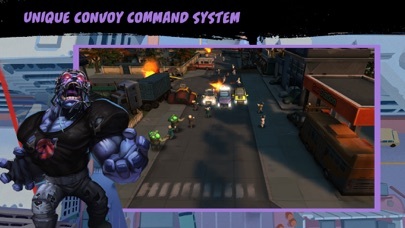 As the final group of struggling survivors who now lead the nomad life in, command your vehicles to smash the blood-thirsty enemies and overcome the infection on the road. The battle for survival against the dead has never been more difficult. Decide our path, the lives of the last humans on earth now rest in your hand, Survivors! The whole survivor camp made up by groups of mobile cars and trucks. For once, live the life of nomads who must constantly move to avoid being cornered by enemies. Command multiple heavyweight combat cars in battles. 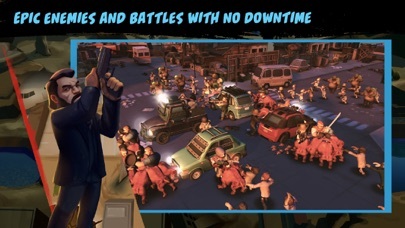 Sprint to crush zombies with your steel dogs or stop to fight the slow way? Pick your favorite zombie hunter from the vast arsenal of firearms and melee tools. A pokey Spear, a simple Handgun or the more destructive Molotov and Hunting Rifle? Craft new weapons using everything the convoy scavenged during your journey. Not just trying to not be killed, the journey will take you along with many other survivors to strange lands, discovering bare truths about the origins of the apocalypse. The road will be long and harsh, sacrifices will be made for goals to be achieved. Who, or what will be the key to find the cure for the virus and return our Earth to its former glory? Use spoils gathered from battles to raise new buildings in the base. They play a vital role in producing extra resources, such as providing more food for survivors as well as crafting and upgrading guns. A bigger base can attract more lost souls, giving you more manpower to work with. You’ll always be put in dire or straight ridiculous situations. Defense against a horde of giant Tanks or a MILLION Bulletproof freaks? A shotgun might be ideal against swarms of weaklings, while a shield can buy a lot of time against concentrated attacks. 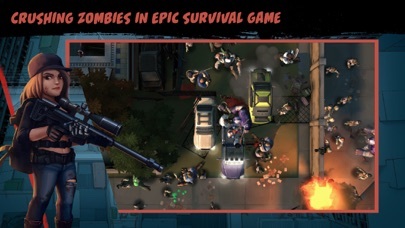 Control your vehicles to lure enemies or block entrances or even crash at zombies! Different approaches bear different strategies, different strategies bear different outcomes! Survivors do not kill each other. At least not yet! At times we just need some fun, so survivors from separate convoys decide to get together occasionally to compete and see who’s the best. There’s no defense game here. It’s all about whoever advances the fastest wins the game to climb the leaderboard each season.